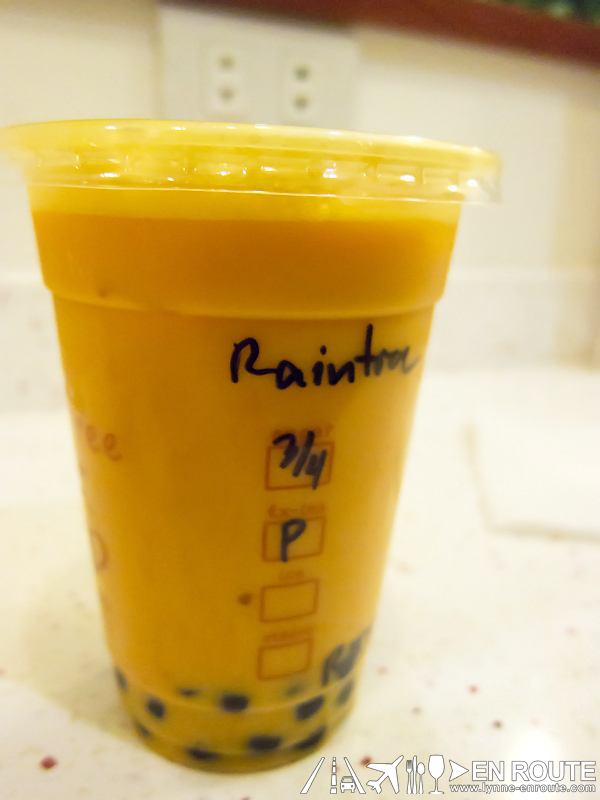 Riding on the wave of milk tea madness, there’s a new kid in town. And we’re really excited to tell all of you about it! If Tea weren’t prominently displayed on the sign outside, you could easily mistake it for a coffee shop. And at night, the warm lighting through the big windows makes it look so inviting. 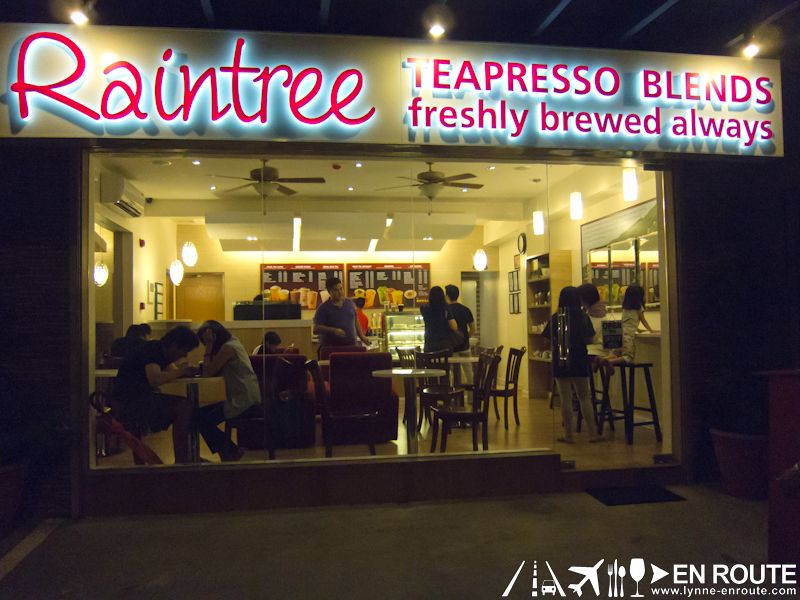 Raintree marries the coffee shop experience with tea drinking (similar to how Chatime’s flagship branch in Pioneer is, sans the candy colors). Teapresso Blends is a nice phrase to sum up how tea gets to enjoy the packaging and serving process that is typically only done for coffee. The promise they make is “freshly brewed always”. This is something we actually look out for – the tea flavor. While some are just yummy, freshly brewed tea means you’ll get the fullness of the tea++. 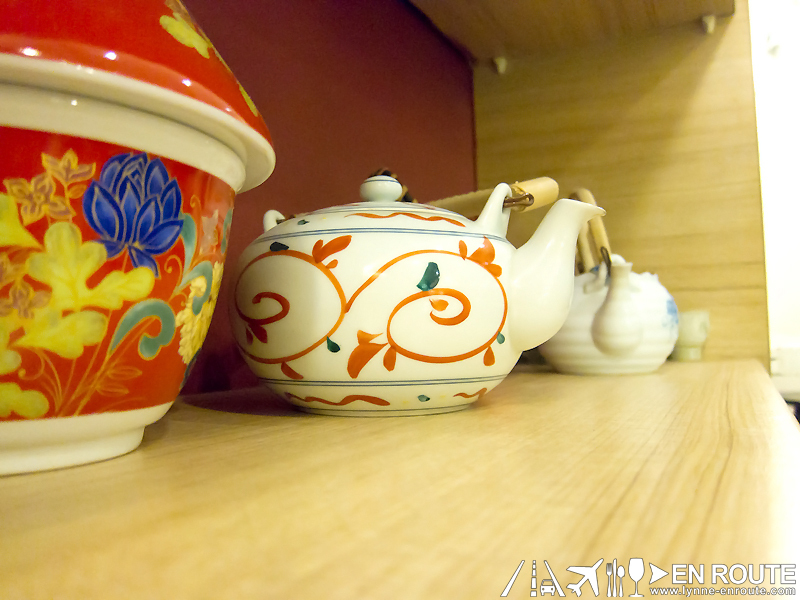 And judging by the extensiveness of their tea concoctions, they came mighty prepared to win our hearts! Whether you’re after a soothing cup of hot tea, refreshing fruity flavors, or some dessert decadence, they have a lot of choices for you. 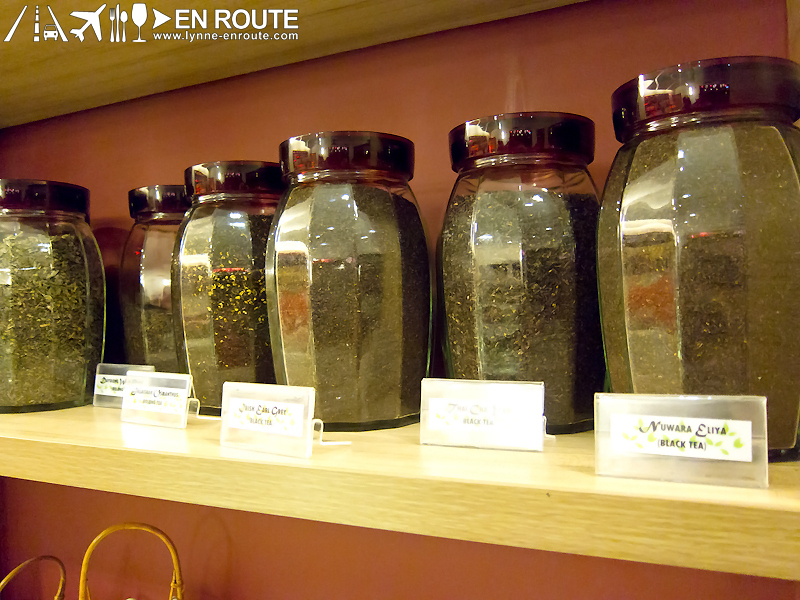 Learn more about the different kinds of tea by looking at their display of tea leaves in jars on one side of the shop. 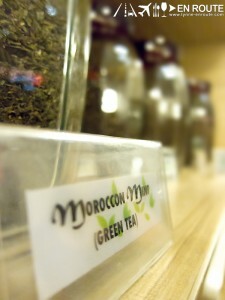 You’ll need it also to help make up your mind especially when you order from their Pearl Milk Teas or Hot Blends. 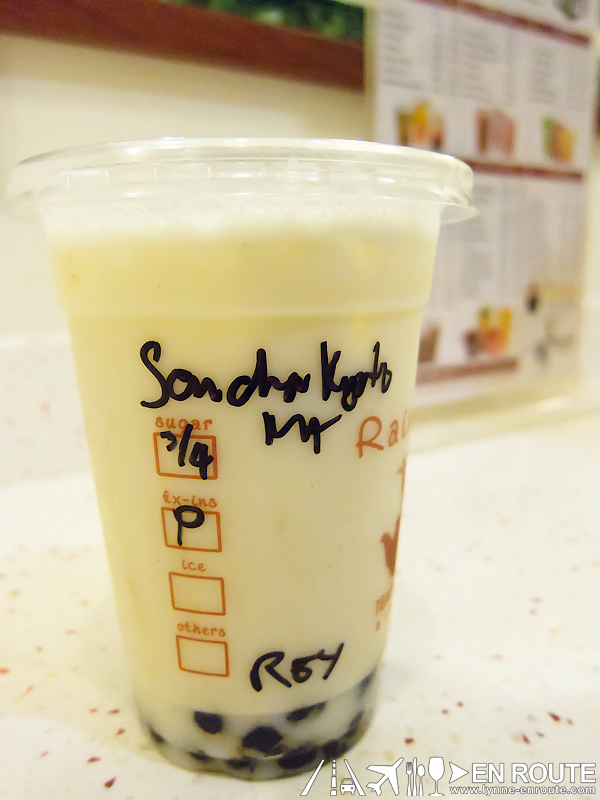 For purposes of being able to compare them against the other milk tea places (or bubble tea – whatever you like calling them), we sampled a favorite, the roasted rice tea variant. 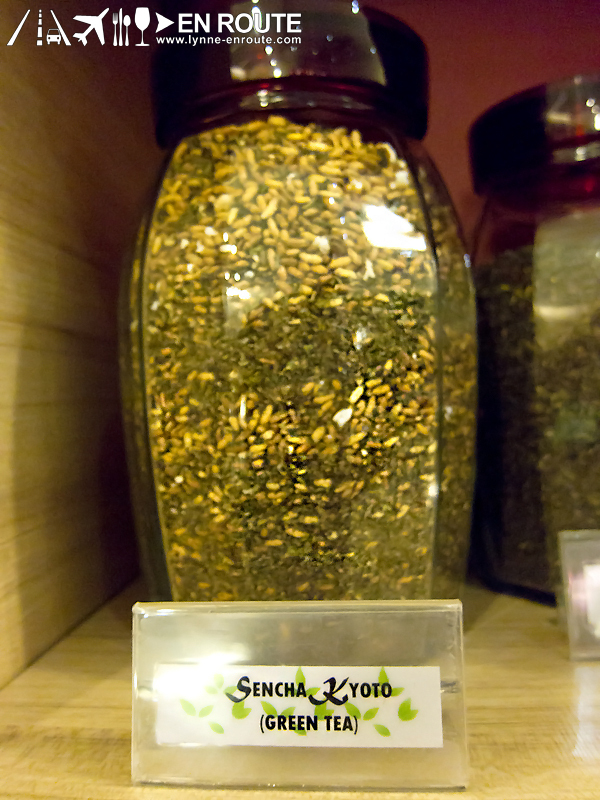 Of course we had to ask what that was exactly on the menu and they offered us the Sencha Kyoto tea. 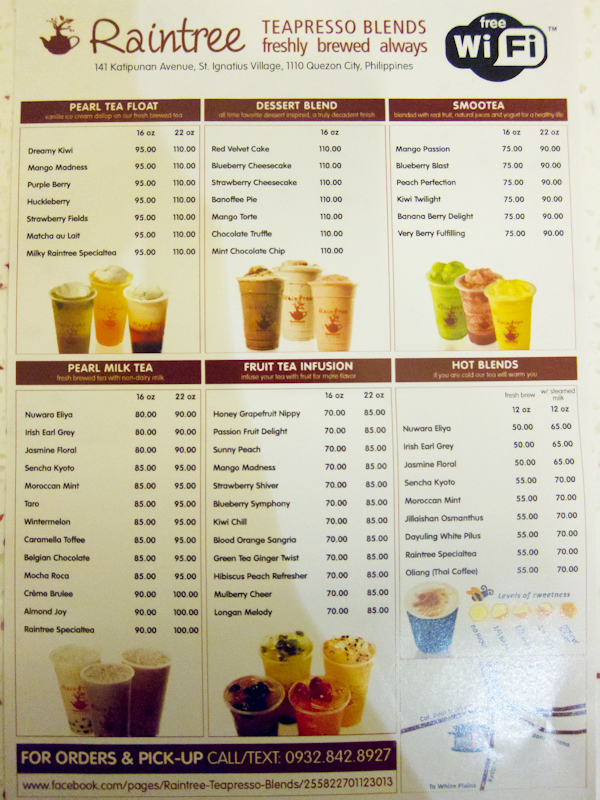 Their milk teas are all made with non-dairy milk and we just requested for 3/4 sugar to give it enough sweetness. And while waiting we couldn’t resist searching for Sencha Kyoto on the shelf to satisfy our curiosity. 😛 It looked like roasted rice alright. It tasted authentic – one of the best actually. The roasted rice flavor was strong and definitely was the star of the show since the sweetness didn’t overpower it. (I’d come back to try the hot blend version of this easily.) I like their pearls, just the right size and level of chewy-ness. I wish there were more though. 😀 And as part of our visit, we couldn’t leave without sampling their Raintree Specialtea. This had a milder flavor to it compared to Sencha Kyoto but the tea flavor was still very much there. They also have a Pearl Tea float for it called the Milk Raintree Specialtea where they add a scoop of ice cream to the fun. 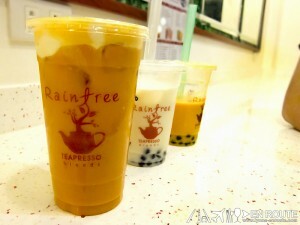 Having just opened last September 30, 2011, Raintree Teapresso Blends is definitely a welcome contender. 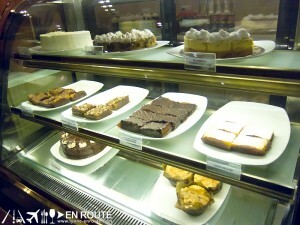 We love the richness of the flavors as well as the myriad of drink choices that they offer. If you’re looking for something to go with you’re drink, they offer cakes and pastries as well (although if I were you, I’ld eye something from their Dessert Blend, like the Red Velvet Cake or Banoffee Pie). And keeping in-step with the coffee shops out there, they have a counter and high chairs for laptops, complete with electric outlets. One of the best parts? They have free wi-fi! 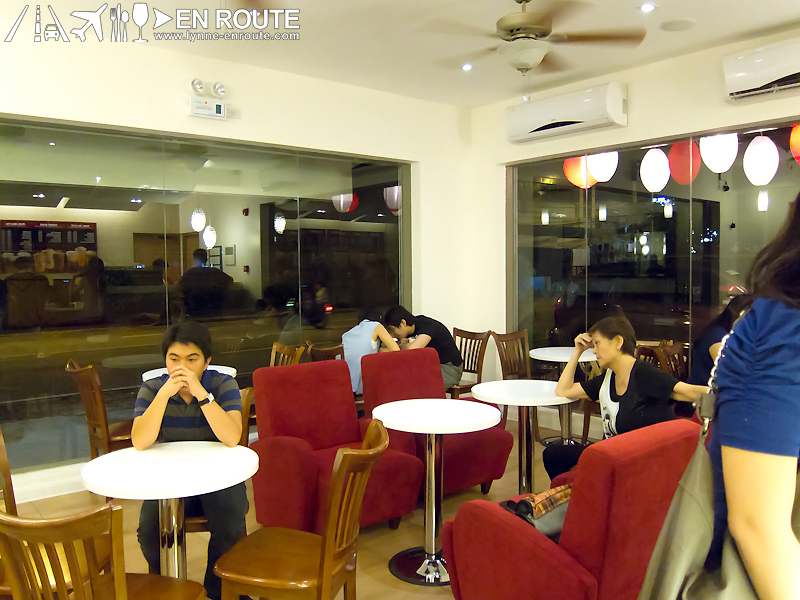 If establishments want to encourage people to linger and get comfortable, this is already becoming a must. This is a place worth recommending. It has it’s own parking space as well so hooray for more perks! New as it is, Raintree seems very much ready to, ahem, “bark” up the other trees. Raintree Teapresso Blends is located at 141 Katipunan Ave., St. Ignatius Village, Quezon City. They also accept orders for pick-up. Call/ Text +63932 842 8927. Liked this? Share it! And join En Route on Facebook!